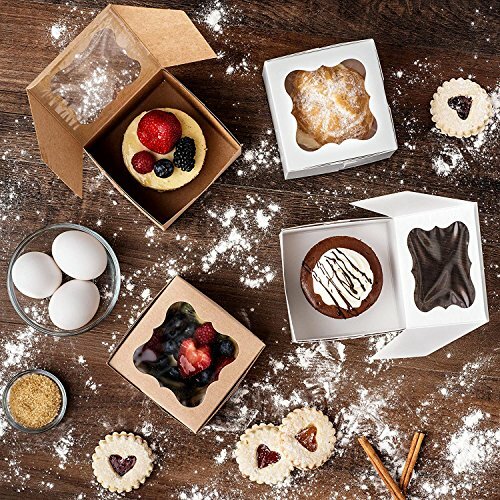 Showcase your baked treats with these mid-sized windowed bakery boxes! These boxes are perfect for holding all of your beautiful, sweet creations for customers to easily see through their transparent windows. They're the perfect size for storing all types of treats, including pies, cakes, cupcakes, cookies, pastries, donuts, truffles, macarons, or non-food items to be given as gifts. These boxes are much more eco-friendly than alternative products. The pulp used to manufacture these boxes is made from natural SFI lumber - lumber collected and reforested utilizing environmentally friendly practices. Additionally, they use 30% less fiber than competing products. That means 30% fewer trees are used in creating them. 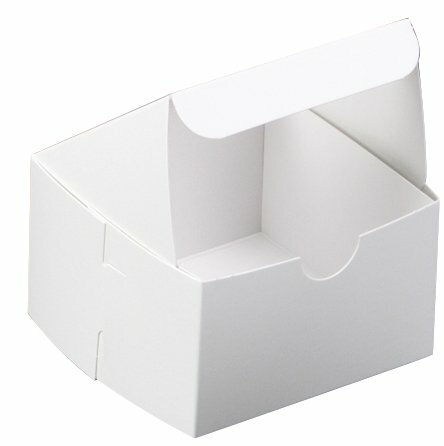 These bakery boxes also are free of harsh chemicals or dyes which are often used in competing products. 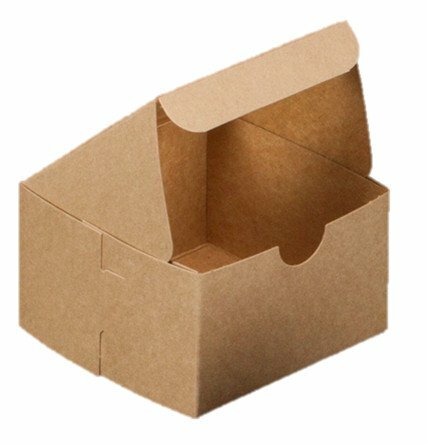 You can rest assured that your hand-made treats won't come in contact with poisonous chemicals when you store them in these natural, organic, brown fiberboard boxes. We're confident you'll enjoy our bakery boxes, but if you don't for any reason, simply return the boxes to Amazon at no additional charge, no questions asked. 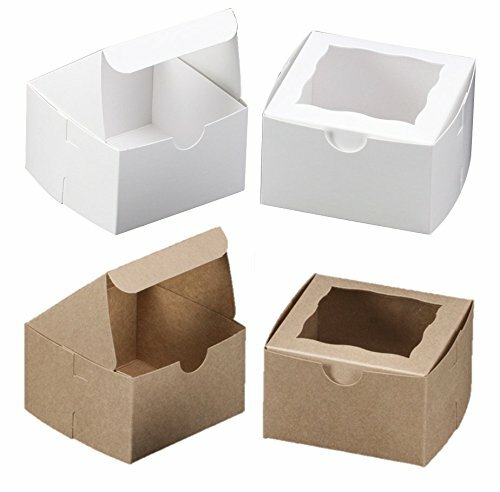 ECO-FRIENDLY - These medium 4x4x2.5 inch bakery boxes are made from natural brown paperboard, which uses 30% less fiber than other box materials. Also, the fiber for these brown pastry boxes comes from SFI lumber - lumber collected and reforested utilizing environmentally friendly practices. NO HARSH CHEMICALS - These natural containers are uncoated and no chemicals are used to change their natural organic appearance. Solvents are not used to bleach the pulp, so you can ensure your food will not be in contact with poisonous chemicals when using these boxes. These boxes are food-safe and FDA approved for food storage. TRANSPARENT WINDOW - These organic eco-friendly boxes feature a transparent window on the top, allowing your customers to glimpse inside easily to see your products. The edges of the window feature an attractive wavy design. MULTI-PURPOSE - These boxes are the perfect size for small cakes, pies, pastries, donuts, cupcakes, cookies, and other sweets or even non-food gifts. 100% MONEY BACK GUARANTEE - If you're not completely satisfied with these bakery boxes, simply return them for a full refund, no questions asked. We're confident you'll love California Container's Bakery Boxes!